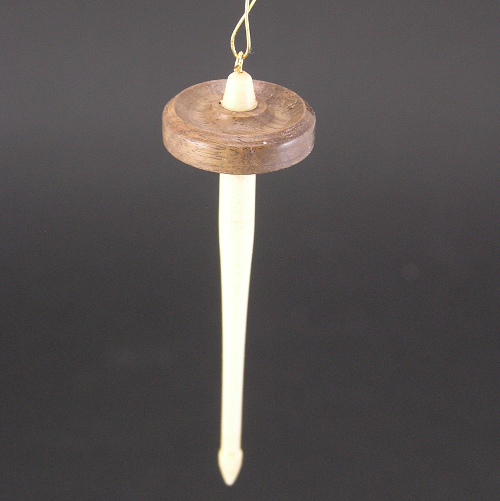 For the past four years, we have made small drop spindle Christmas Tree Ornaments. They have become a collector’s item for many of my customers. The 2016 True Creations Collectible Christmas Ornament has a whorl turned out of Walnut and has a Maple shaft. Some folks hang them from their spinning wheels or their car’s rear view mirror. They are available in our shop – www.tcspindles.com.